Experience a renewing, hydrated cleanse with the L'Oréal Paris Absolute Eye and Lip Make-Up Remover, imbued with sanitising effectiveness. Light and balmy in texture, the embedded balancing additives help delegate purity and moisture, bringing skin to its natural state. Specially formulated for waterproof and long-lasting make-up, the caring properties of this remover work to extract impurities swiftly and tenderly, leaving skin feeling fresh, cleansed and soft. 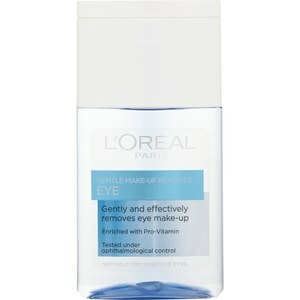 Dispense onto a cotton wool pad and gently wipe across the eyes and lips to remove traces of make-up. Repeat if necessary. Absolutely will repurchase it. It ooks water and oil separation, but no greasy feeling, it is suitable for remove heavy makeup, just need a few minutes to finish it.!!! The cost-effective is super high, better than Lancome I used before. 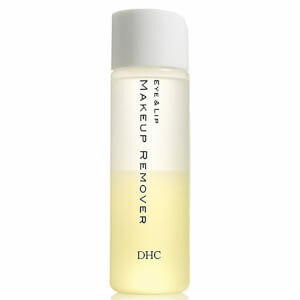 Great product to remove eye makeup. I used for long time and it is easy to remove waterproof mascara, eyeliner and eye shadow with cotton pads. Great product to remove eye makeup. I used for long time, it is easy to remove waterproof mascara, eye shadow and eyeliner.